Tornado finished the regular season with a clear win. 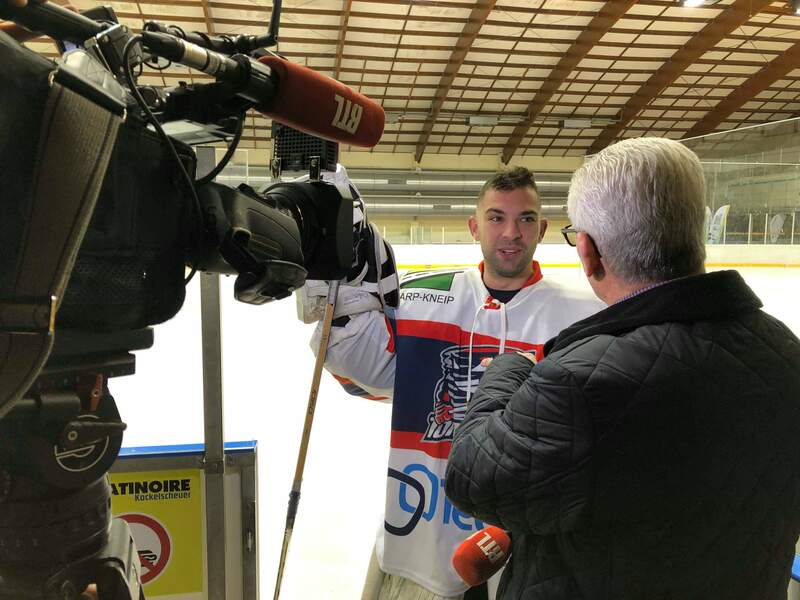 Les Tigres de l’ACBB had a long ride to Luxembourg from Paris and probably the ride back home felt even longer as Tornado defeated them 8-1 in the last round of the regular season. The stakes for the game were pretty clear, the winner will be 4th in the group and face Nîmes in the first round of play-offs, or even, although very unlikely, 3rd in the group and face Chambery. The game started with an even puck possession. ACBB surpirsed with a lot of speed and pressure, but both teams managed to create some scoring chances. Half way through the period Tornado’s first line decisively took the lead by scoring two goals in one shift. First Henri Öörni scored on a breakaway and then Teemu Hinkula fulfilled his long time dream by shooting the puck into the net after deflection of Öörni’s bottom. The game was 2-0 after the first 20 minutes. In the second period Tornado’s first line continued scoring. First Öörni in the first shift of the period and then Hinkula in time 33:05. In the end of the period ACBB managed to score and the game was 4-1 after 40 minutes. In the third period also other lines scored as Shorty Müller scored two, Patrick Hedberg his first in the Tornado jersey and Vesa Hirvonen from the blue line so the game ended 8-1. Lots of penalties were seen in the game, first from Tornados in the beginning of the period, and in the end from some frustrated ACBB players. Tornados were sorry to see Ossi Uotila leaving the ice with a dislocated shoulder. It is not yet certain when he will be back. The most regrettable episode however happened after the game when a staff member of ACBB showed some disgraceful behavior towards the spectators. Our apologies on his behalf. Now the regular season is over and we are waiting for the schedule for the play offs. As Champigny and Dijon will play their last game next week, we might need to wait one more week before we know the game dates. In the very unlikely event that Champigny would loose against Dijon, Tornado would finish 3rd in the standings and play Chambery in the first round of play offs. But Tornado should probably start preparing for playing Nîmes. The dates for the first round are 16th and 23th of February or 2nd of March. Stay tuned. The dates will be informed as soon as we get them. It’s going to be an interesting hockey spring! Written by Teemu Hinkula, 03/02/2019 17:27.